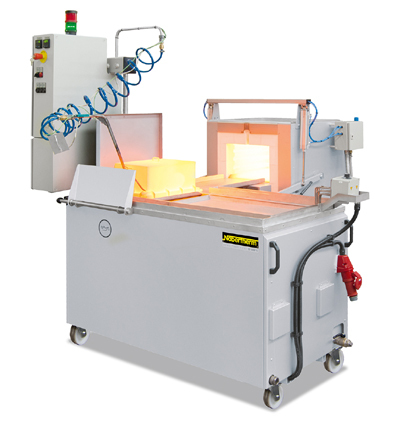 Nabertherm offers an extensive range of industrial furnaces for hardening metals. The hardening of aluminium is used mostly in the automotive and aircraft industry. The main objective of hardening is to improve the mechanical properties of a component. The hardening of aluminium occurs at a temperature of up to 220 °C. Further information on Nabertherm hardening systems. Furnaces for hardening: Chamber kilns, shuttle kilns, top-loading furnaces with air-circulation for hardening Standard furnaces and customized systems for hardening.